Following a very enjoyable trip to Sri Lanka with Tropical Sky in 2015, my husband and I decided to investigate trips to the Far East. We felt confident to approach Tropical Sky once again with our budget to see what we could do. Fortunately or unfortunately, depending on how you look at it, our children (aged 23 and 24) got wind of our plans and decided that they would like to join us for the first time in years. 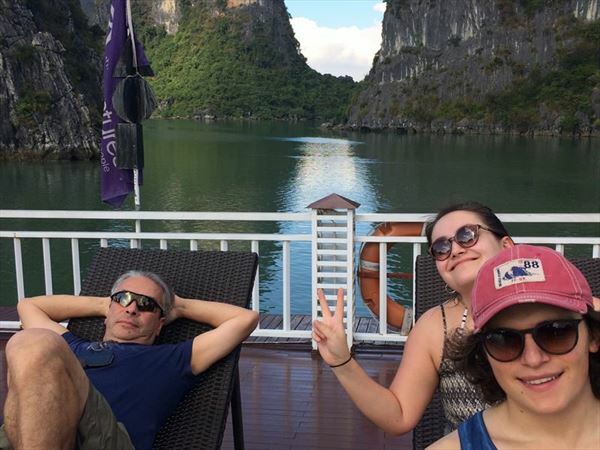 The Initial joy that they felt able to spend 2 weeks away with us quickly turned to anxiety when our nice private tour of Vietnam would have to become a group tour to remain close to our budget. 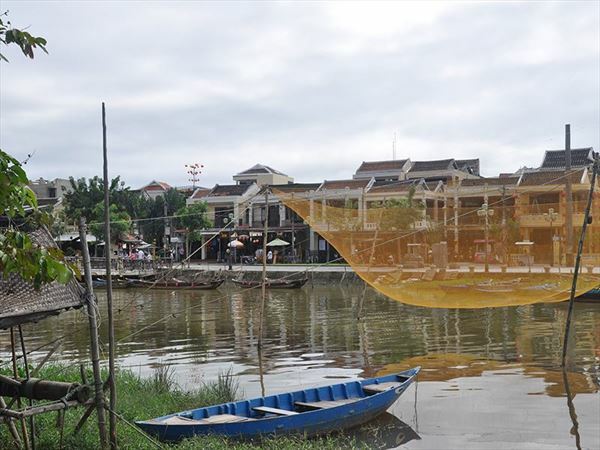 Well Tropical Sky produced the goods and we booked the Classic Hanoi to Ho Chi Minh Small Group Tour in November 2016. Tropical Sky use G Adventures to book their tours with. 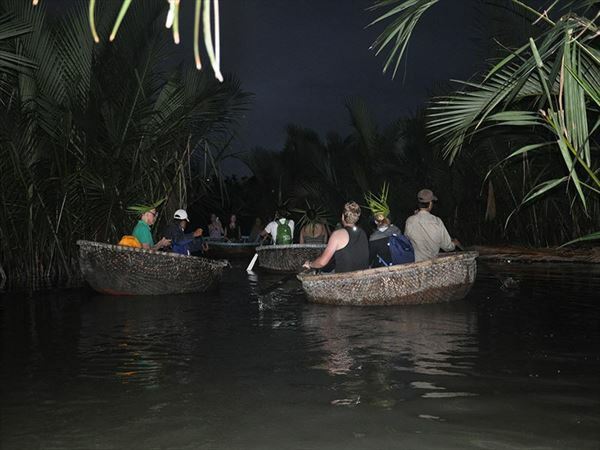 I was a bit nervous having never been on a group tour before and there was mention of an overnight train journey and a night on a junk boat that I felt most likely would require a Shewee at the very least. And, they advise the use of rucksacks where possible - something I’ve not carried for years. I found it hard to find recent reviews of the tour on-line and the reviews I did find were mixed. And then there was the prospect of a lot of wet weather in November. So I went along with low expectations on the assumption that I could then be pleasantly surprised (the other 3 weren’t so pessimistic). IT WAS BRILLIANT!! Our Guide for the duration of the tour was wonderful. The itinerary was well-paced. 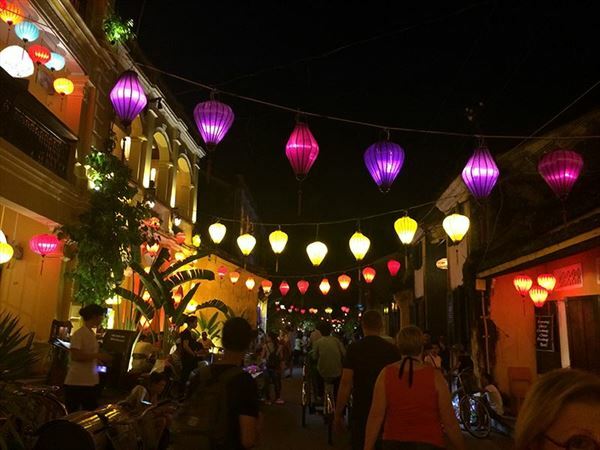 There were 14 of us in the group - a mixed bag of ages and countries of origin, but all there to experience Vietnam and we all got on very well. There were parts of the tour that we did all do together but there was plenty of free time to do our own thing if we wanted. All the accommodation was perfectly satisfactory. The Junk boat was very comfortable and even the overnight train, although a bit cramped if you’re over 5’5’’, was still OK. And my Shewee was actually an unnecessary load in my rucksack. And talking of rucksacks, it’s not an essential. A small rolling case if you prefer would also be suitable. You never have to carry your bags far - all the transfers/trips were on private buses from the hotels. The food was great. 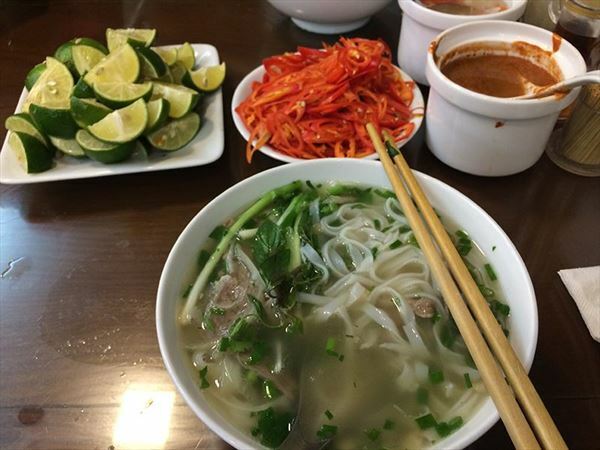 We chose to only eat Vietnamese food although there was pretty much everything else available. We tended to go with our guide to try things because it’s not in his interest to let anyone in his group get ill. Consequently we were able to try some authentic and delicious street food that incorporated some mystery meat pates etc that we would’ve been nervous to try otherwise. None of us were ill.
What were our highlights? We loved it all. The people, the food, the markets, the towns in the day and then again at night with the pretty lanterns and busy pavement cafes. Lovely beaches. 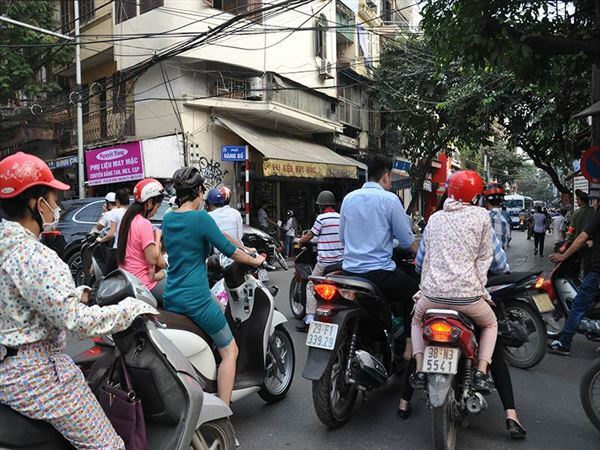 We loved the buzz of Hanoi Old Town and negotiating all the motorcycles in the roads and on the pavements. Halong Bay was beautiful and I have no idea how the chef on the boat produced such lovely food in the tiny kitchen. 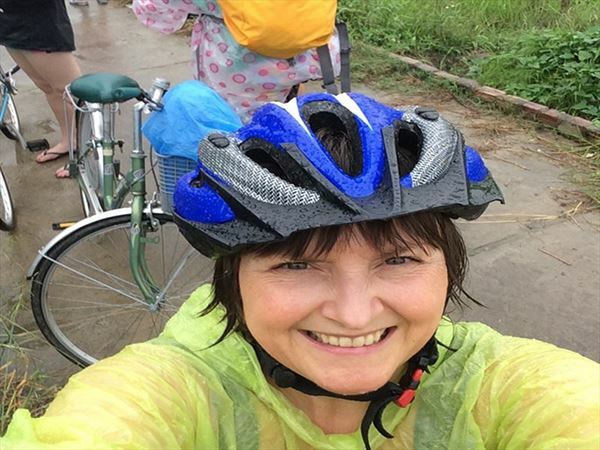 Hue was lovely and the motorcycle tour was great fun, even in the rain. Hoi An didn't disappoint - had a few clothes made, ate some more nice food, enjoyed a cycle tour and cooking class. Ho Chi Minh was an education - the War Remnants Museum is quite a moving and sobering visit as are the Chu Chi Tunnels. As a family we all thoroughly enjoyed ourselves - we extended our trip with a 5 night stay at the Victoria Phan Thiet Hotel which was lovely. We were incredibly lucky with the weather with only 2 full days of rain and a couple of mixed days. I would recommend the tour as suitable for singletons, friends and families (probably with children from about 15ish with a view to going on the motorbike tour as a passenger). We could have continued on to the Mekong Delta but had already booked the Victoria Hotel for a rest before we returned to work. In retrospect I would probably have preferred to extend the tour with maybe 3 nights at the Victoria instead. All in all, it is a great introduction to a beautiful country with a fascinating history. Thank you Tropical Sky. We would like to thank Claire and her family for sharing their story with us and hope to welcome you on another holiday soon..